I was visiting my parents in King George, VA, for the holidays. I lived in King George County for my 10th grade through 12th grade years, and graduated high school from here. 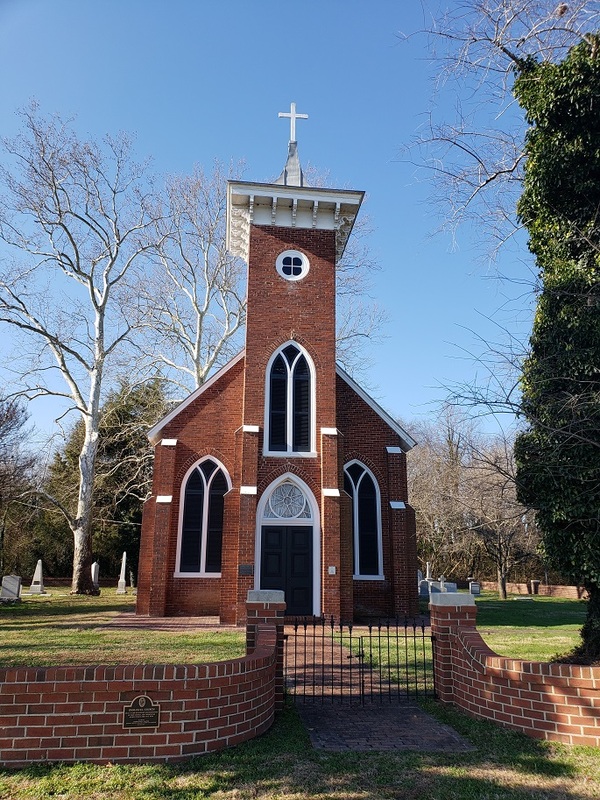 At the south end of the county, there is an old church and several historic markers, none of which I’ve never stopped to read. Sometimes when you pass the same place frequently, you take for granted that you can stop anytime. Finally, I did. The church itself is still in use, and looks great. 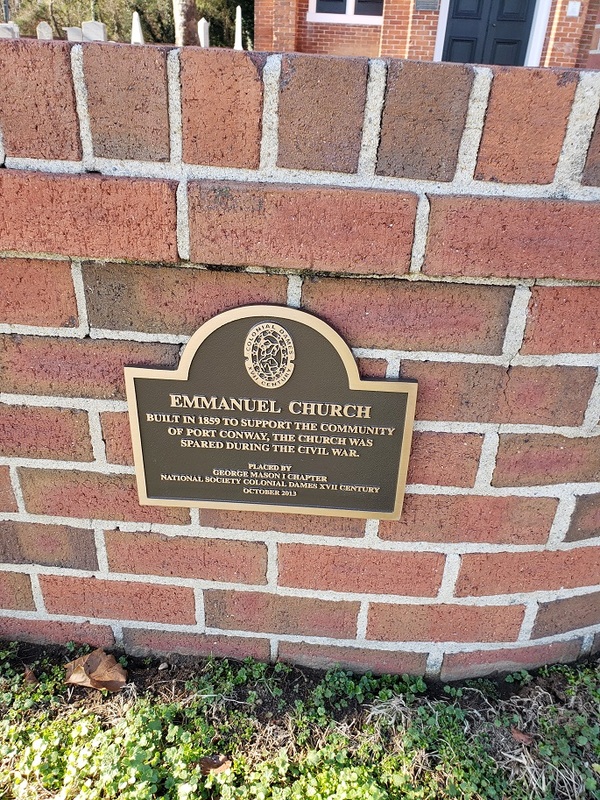 The bronze plaque says that it is the Emmanuel Church, built in 1899. It does look like there have been quite a few renovations to the brick building. 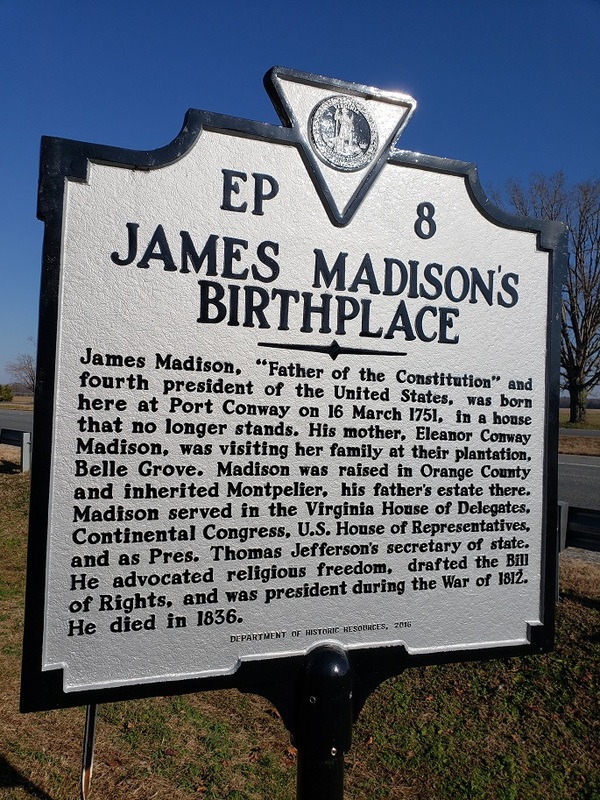 There were several historic markers on the premises, including a marker for James Madison’s birthplace. 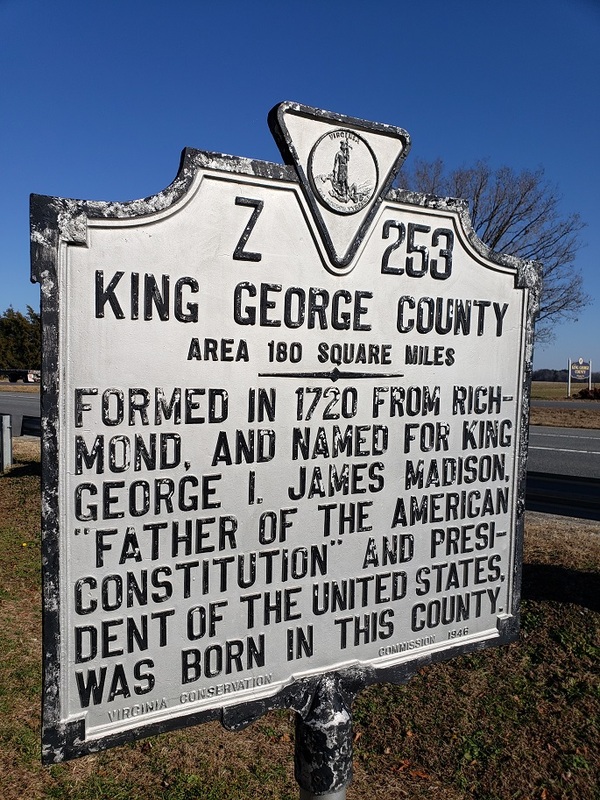 James Madison was apparently born about two miles south of my parents’ house. 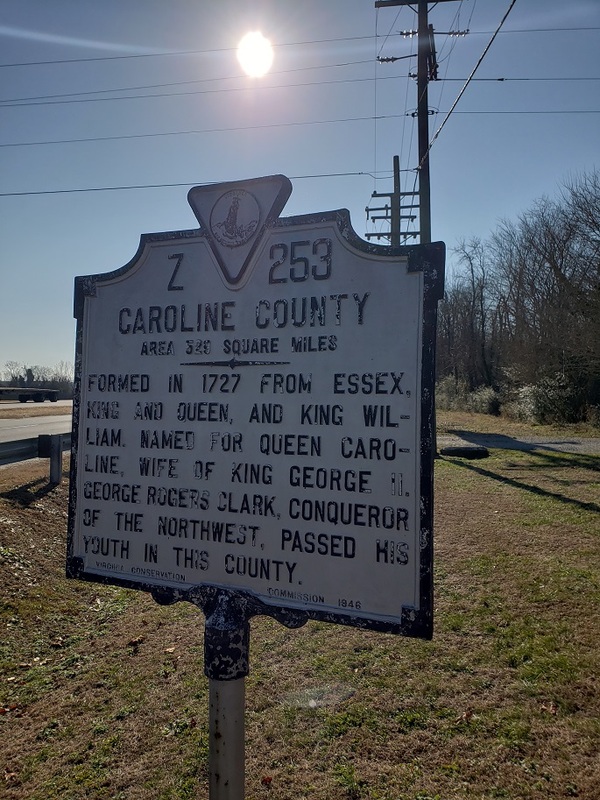 The other two historic markers were around the county line between King George and Caroline counties. Most people think this is the Rappahannock River, and perhaps it was at some time, but these markers seem to indicate it is just north of the river, just before the US-301 bridge crosses. One of the more interesting, and perhaps least-documented topics in industrial archeology is that of church history. Before you shout, “that’s not industry!” consider how important religion was to those living during the heyday of the industrial revolution. How many towns built a church as the second major building, after the train station? How many town hall meetings were held in the church? Right now, I am reading a book, Tell It To The World, by Mervyn Maxwell. This book tracks the history of the early Seventh-Day Adventist (SDA) church and their struggles to publish in the mid 1800’s. So far, the book is well-written, and well-researched, discussing the history of each of the founders and what life was like in New England in the 1840’s and 1850’s. One of the main goals of the early SDA church was to distribute pamphlets to interested parties at little or no cost, and to run their pamphlet printing based on donations. They started out writing, and found a printer to do the actual reproductions, then local believers would cut and fold the pamphlets for distribution. However, the cost of the printer was high, and the printers worked on Saturday, the holy Sabbath of the SDA people. The SDA people believe that the Sabbath is a day of rest, and in addition to their own resting, they will not put others in a situation of working on the Sabbath. They will not shop, buy, sell, etc. on this holy day, so the founders did not want to make the printer work on this day either. Therefore, they needed to get their own printing press and learn how to use it. They started with a hand-operated press, run by volunteers, stationed in an empty, unfinished room of a house. Eventually, driven by donations, they moved to Rochester, NY, and were able to run a steam-powered press instead. In later years, a factory was constructed by a group of believers in Battle Creek, MI, and the founders moved there to print their writing. So far, I am only about a third of the way through the book, but it does give a very clear picture of what life was like during this time period. It also shows how intertwined life and religion were during this time. I will keep you updated as I read this book. Maxwell, Mervyn. Tell It To The World, Pacific Press Publishing Association, 2002.